Who could ever imagine that the invention of the wall-mounted egg beater in 1885 would lead to the creation of a recreational treasure enjoyed by generations of Washingtonians? 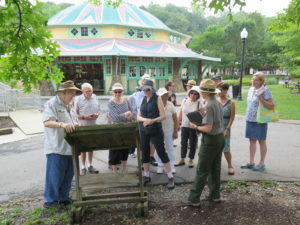 An enthusiastic group of ANV members and volunteers discovered how in a guided tour of the history of Glen Echo Park on July 29. 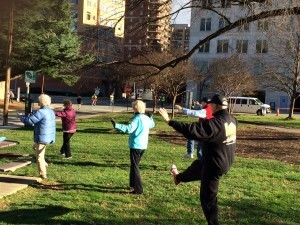 Our visit included the popular Spanish Ballroom, other historical art deco buildings, and children’s activities. 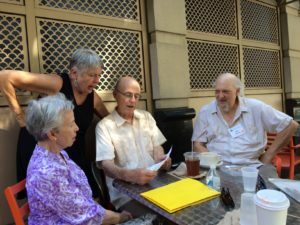 For two members of our group, Lynn Farrow and Mike Murtha, it was a chance to share memories of childhood visits to Glen Echo for rides on the roller coaster (Lynn’s favorite) and bumper cars (Mike’s favorite). 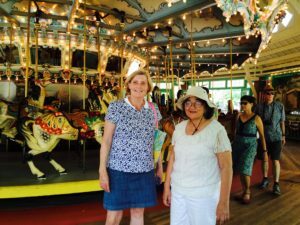 Of course, no visit to Glen Echo can be complete without a ride on the fully restored 1920’s era Dentzel Carousel. Many of us could not resist! 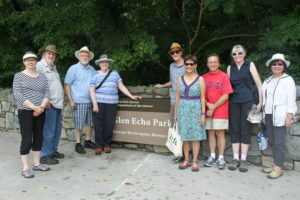 The Glen Echo Park grounds, located at 7300 MacArthur Blvd, Glen Echo, MD, are open daily at 6:00 AM. The Dentzel Carousel summer hours of operation are Wednesday-Friday 10:00-2:00, and weekends from noon-6:00 PM. 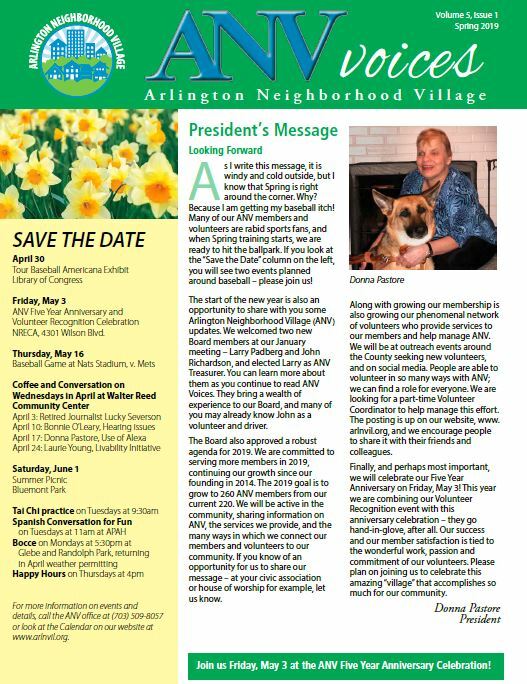 This entry was posted in What's New on 08/01/2016 by Susan.